We are adding Online service to China King Chinese Restaurant, Novi, Michigan. You can find our new Chef's Specials, Discount Coupons on our website, you can also send us your suggestion using the online feedback form. It is our pleasure to welcome you as our guest of the China King Restaurant today. 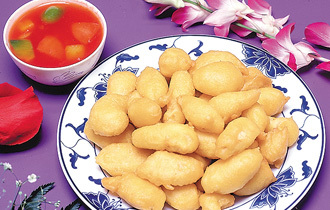 We are specialized in Szechuan, Hunan, Cantonese dishes individually cooked to order in the traditional Chinese way. China King Restaurant is Located at 47770 Grand River Ave, Novi City, Michigan, Our restaurant offers a wide array of authentic Chinese dishes, ranging from tranditional Szechuan and Hunan dishes such as , Seasame Chicken, General Tso's Chicken, Hunan Beef to new style entrees such as Seven Star Around the Moon, Coconut Shrimp and Sha Cha Beef. Come in during our lunch hour(11:00 am - 3:00 pm) for a Lunch Special or during evenings for a delicious Szechuan or Hunan dinner. You can also order your favorite Chinese Food for take out. Our goal at China King Chinese Restaurant is to provide an unforgettable dining experience for all our patrons.